Crowdsourcing can help you harness the crowd to increase awareness, cultivate new volunteers, gather information and even get work done — all for a minimal investment. How can you put it to work for your nonprofit or organization? Since the earliest days of the Internet, people have used it to solicit and organize groups of people to participate in projects in small ways. Called crowdsourcing, this process can be done in a number of ways and used for a variety of goals. In an early example of the practice, nonprofits would post questions to a Usenet discussion board to seek answers from the community — for instance, asking how to write a particular policy, or for recommendations about recognizing and rewarding volunteers. That “open call” approach is what distinguishes crowdsourcing from outsourcing, in which you’d send a task to a specific person or organization for help. Crowdsourcing can be done at an organizational or individual level, and nonprofits have used it for everything from marketing and fundraising to volunteerism and activism. It’s a great way to enlist help from a wider community knowledge base, and to engage people in your work. In the last few years, the rise of social media and new technologies made it easier to reach and engage a broader audience. But how can your organization harness the power of the crowd to help achieve your mission? We asked nonprofit experts and professionals for crowdsourcing best practices and techniques that have worked for them. On Nov. 1, CrowdFlower will be kicking off the second annual CrowdConf, the world’s largest crowdsourcing conference, at Mission Bay Conference Center in downtown San Francisco. This year’s conference will bring together more than 600 attendees to discuss innovations in crowdsourcing technology and trends taking place in the growing industry. The main conference will be all day Wednesday, Nov 2. The agenda will focus on practical tips and tools for understanding crowdsourcing through a range of lenses including investing, philanthropy, community building, and creativity. The day includes keynotes, debates, and interactive breakout sessions, and will conclude with a networking poster reception. Speakers include: Jeff Howe, author who coined the term “crowdsourcing”; Philip Rosedale, Founder of Second Life; Mark Gerson, Chairman of Gerson Lehrman Group; Charlie Cheever, Founder of Quora, Sharon Chiarella, vice president of Amazon Mechanical Turk; and more than 50 other incredible speakers representing the most influential and fastest-growing crowdsourcing companies. Check out the full list of speakers. For those looking to learn more, be sure to join us one day prior to the main event on Nov. 1 for two great workshops that will focus more on research and industry-specific tutorials. Workshops offer conference attendees a head start as they engage in a more intimate exchange with other thought leaders and crowdsourcing experts. Workshops will be taught by: Omar Alonso, Technical lead on the Bing team at Microsoft; Matt Lease, assistant professor at the University of Texas; and David Alan Grier, columnist at IEEE Computer. Space is limited, so register now. Socialbrite readers can get a $75 discount by entering the code SCLBRTORG when registering. Target audience: Nonprofits, NGOs, cause organizations, social enterprises, online media professionals, social media managers, marketing professionals, individuals. Media Cause allows volunteers from around the world to connect with nonprofits and offer their expertise on focused project needs. 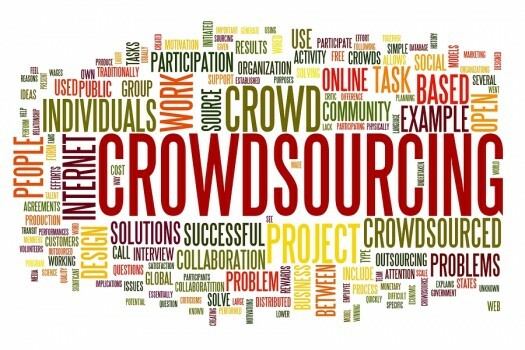 One of the most fascinating phenomena in the Web 2.0 world the past couple of years has been the rise of crowdsourcing. Crowdsourcing comes in a few different flavors (which part 1 covered yesterday). For nonprofits, social enterprises and businesses, the real potential for disruption comes when a global labor force applies itself to a crowdsourced project. That’s where CrowdFlower comes in. Since my interview with founder-CEO Lukas Biewald at SXSW 15 months ago, the start-up has grown from 15 to 60 employees and is now headquartered in a spiffy second-floor space in San Francisco’s Mission District. Mollie Allick, director of PR and events for CrowdFlower, talks about what crowdsourcing is and how nonprofits and other organizations can use the power of the crowd to advance their mission in this 4 1/2-minute interview at their offices. “We take large datasets and break them down into small tasks and distribute them to a labor force across the Internet,” she says. It’s not just about reducing costs. CrowdFlower was one of the partners in the collaborative mobile relief effort Mission 4636, which we wrote about following the Haiti earthquake last year. The short code emergency response communication system enabled earthquake victims in Haiti to get life-saving aid by sending a free mobile text message, which local volunteers translated as needed. 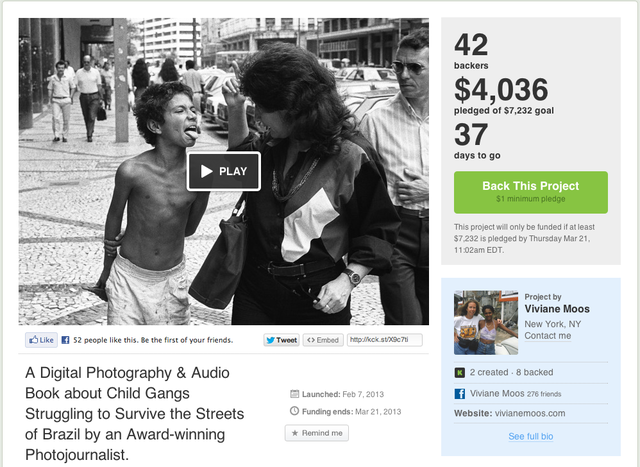 Greenfunder funds socially responsible projects and businesses. Target audience: Nonprofits, social enterprises, NGOs, foundations, businesses, educators. This is part one of a two-part series on crowdsourcing. High-quality work at a low cost. That’s what crowdsourcing can achieve for nonprofts that wish to save money while pursuing their mission. Crowdsourcing, a bit of a catch-all term, can be used to gather information, solicit advice, save money or get stuff done. It can also help to inform decisions, demonstrate inclusiveness and bring a whole new meaning to collaboration. We’ve seen the rise of community crowdsourcing with the advent of social media, but it’s always been part of the way society works. And nonprofits have always been at the forefront of crowdsourcing long before the term was coined in 2006. The idea simply fits in with the way small organizations work. Say you’re a nonprofit looking to improve your services. You ask your Facebook fans and Twitter followers — people who have chosen to connect with you — how they think you can become better. They feel included in the process and want to answer, and then your organization has a solution to its problem. That’s what crowdsourcing can do — it can get a job done.